I’m not sure if you noticed this or not but I really love having something pretty on the center of my table. I love creating simple centerpieces that are not only thrifty to make but also great for everyday. 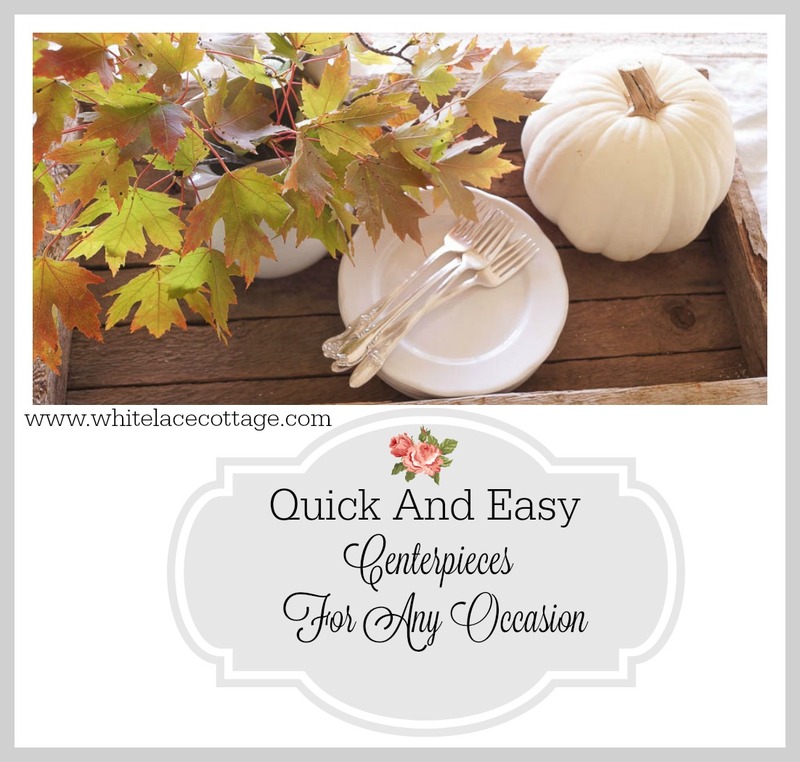 Today I thought I would share a few very simple and thrifty ideas of how to add a simple centerpieces to your table for fall. But you can use these tips and create simple centerpieces for everyday. Tip #1. Get creative with your garden and brink in branches or flowers. This time of the year my hydrangeas look amazing. But I know we don’t all have hydrangeas planted. But I bet you have a bush, tree or shrub that you could cut off a branch or two and use for a centerpiece. I added a few branches from my dogwood shrub and placed them into my white ironstone pitcher. I had this old wood tray that was perfect for my centerpiece base. 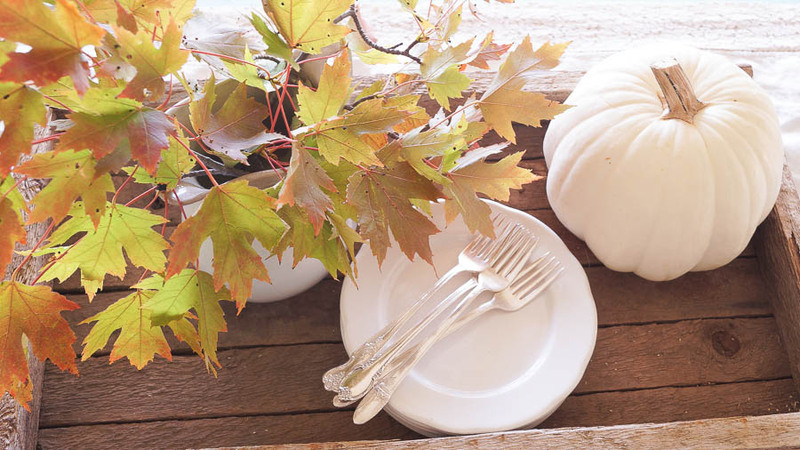 A small white pumpkin is placed inside along with a few plates from my ironstone collection. See how simple this is? Tip#2. 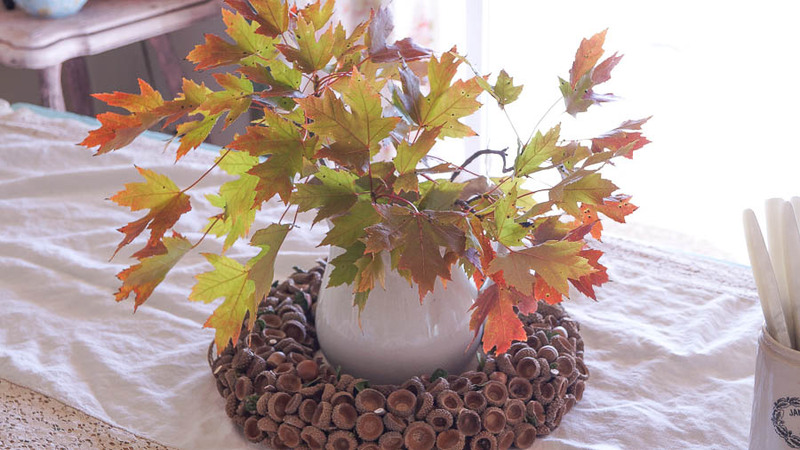 Use a wreath or make one and use it as your base for your centerpiece. This wreath was purchased from Decor Steals. It’s perfect for a wall but it can also be used as part of a centerpiece. I added that same ironstone pitcher filled with my dogwood branches. If you don’t have an acorn wreath make one and it doesn’t have to be acorns. I think pine cones work well this time of the year too. Tip #3. You don’t have to use fall colors in your home if you’re not into golds and yellows. 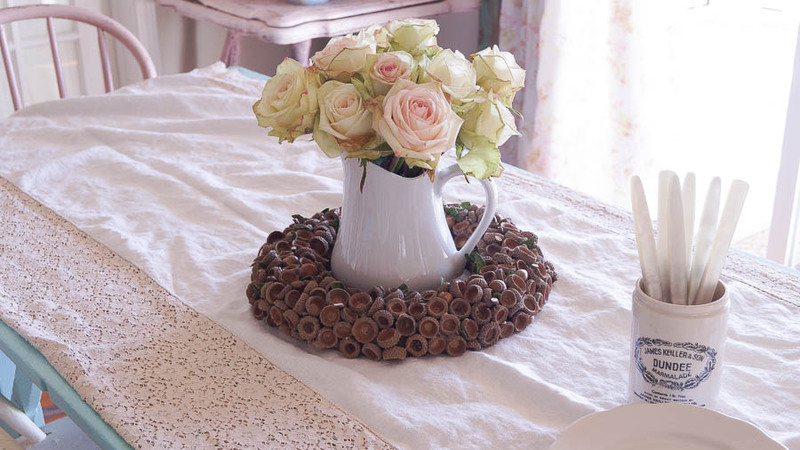 A beautiful bouquet of roses work perfectly when paired with this acorn wreath. If you don’t like roses use daisy or wild flowers. Just be careful when you’re picking wild flowers that they are safe to handle. Some can be very unsafe to handle as they can cause an allergic reaction. Tip #4. Add height to your table and use a surprise element. I love old scales and have used them over the years in my home. It’s so easy to change the look of my centerpiece using this old scale. Creating simple centerpieces for your everyday table can be easily achieved. You don’t have to go out and spend lots of money. Use what you have in your home or in your garden. Do you like adding centerpieces to your everyday table? Great centerpiece! Perfect for fall! Your centerpieces are beautiful. My favorite is the one with acorns. Beautiful! Ohhhh you know that rustic tray has my entire heart and soul! haha That is gorgeous against the white! Gorgeous! I love all your white! I love all of your different vignette’s! Especially with all of the variations… such a great way to use what you already have! 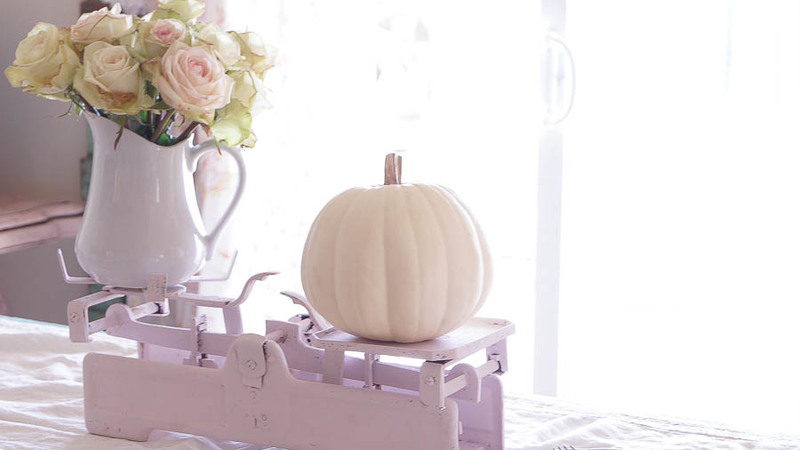 So nice to “meet you” in this Home for Fall blog hop! Pinning for reference!